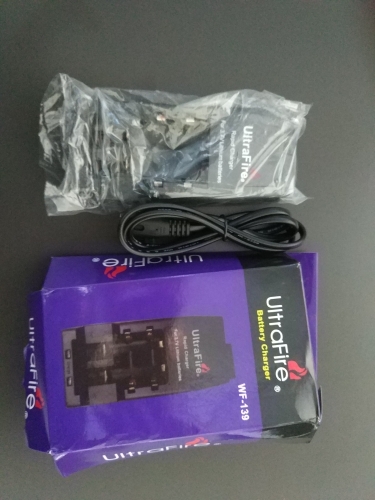 Note: we will sent you the power cable with right plug according to your shipping country. 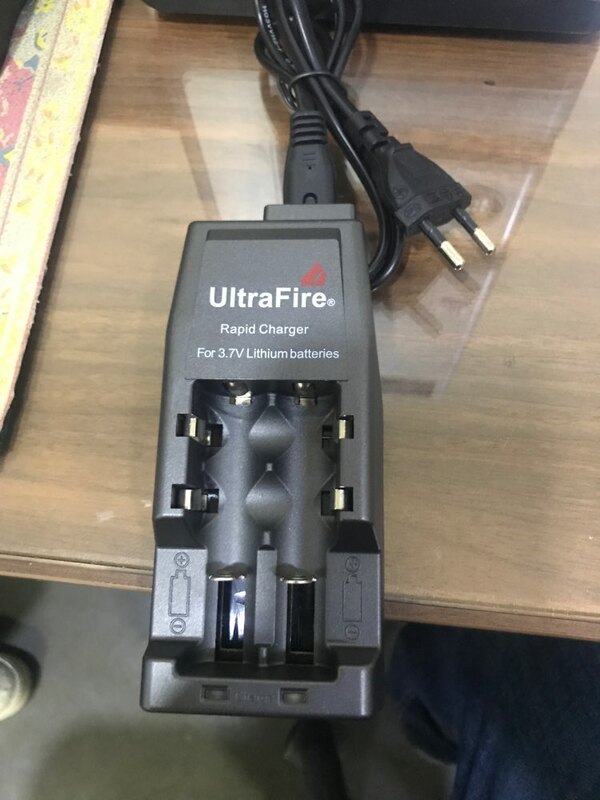 The UltraFire WF-139 is a portable rapid battery charger, which is specially designed for charging 3.7V rechargeable Li-ion batteries, such as 14500 /17500 /17670 /18500 /18650 /CR123A. With LED charging indicators and safe to use, it is really a wonderful rapid charger for choice. - Shell material: flame-resistant hard plastic. 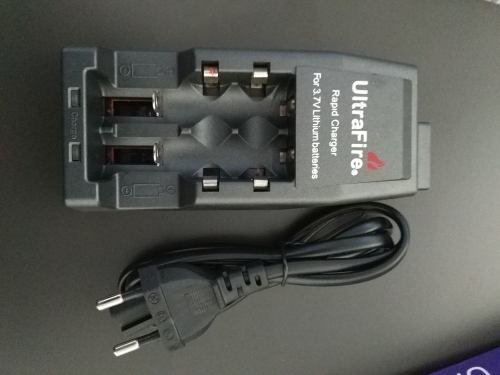 - 100% brand new and high quality Rapid Battery Charger. - Input 1: AC 100-240V, 50/60Hz. - Input 2: DC 12V, 400mA. - Can be used to charge 3.7V rechargeable Li-ion batteries, such as 14500 /17500 /17670 /18500 /18650 /CR123A batteries. - With LED status indicator: red LED means being charged. and gree LED light means charging complete.